The ToughBuilt® Contractor Pouch transforms how contractors carry tools. 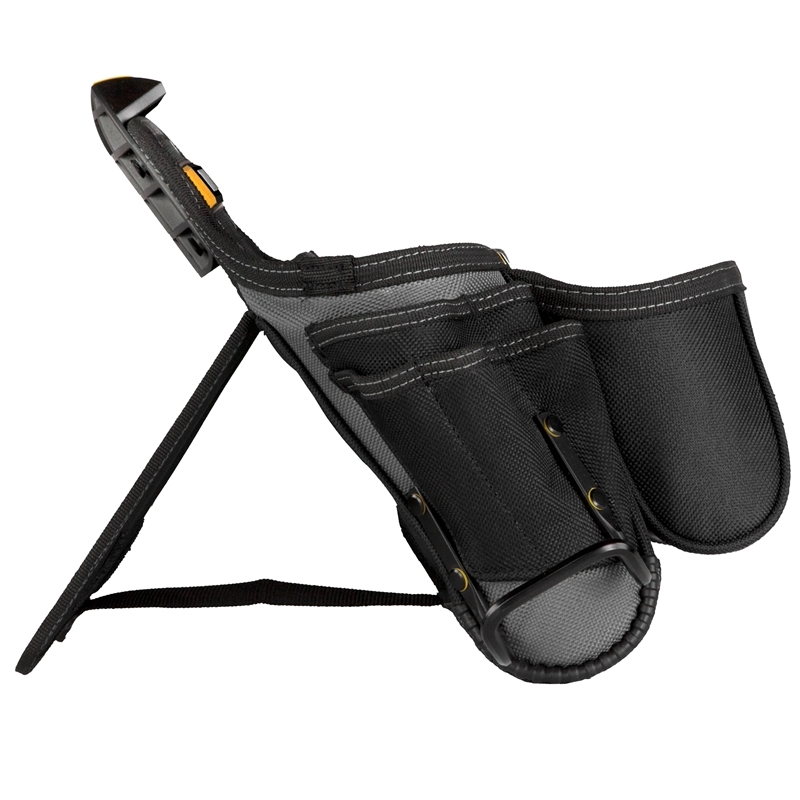 The patented ClipTech™ Hub™ allows this pouch to clip on and off any belt. The integrated kickstand allows it to stand upright on the ground close at hand. This pouch fits ever-changing needs, keeping tools where they are needed, when they are needed. 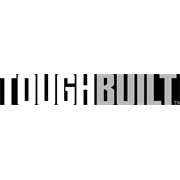 Its 23 pockets and loops – including a speed square pocket, 2 large-capacity No-Snag Hidden Seam pockets, notebook pocket and extreme-duty hammer loop – meet the demands of a professional contractor. 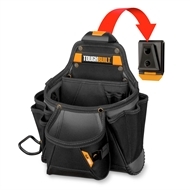 With rugged 6-Layer Construction™ and heavy-duty rivet reinforcement this reliable pouch withstands the most rigorous working conditions.